Eclectic temples and imposing forts. Pristine wildlife refuges and lively metropolises. Pink cities and golden triangles. Fairytale monuments and tantalizing cuisine. This is India, a land of color and contrast—and this is Monograms, the very best way to discover this incredible subcontinent. There’s no better introduction to India’s famed “Golden Triangle” than this incredible 8-day vacation. Your adventure includes hotel accommodations, private guided sightseeing in each city, breakfast daily, four lunches, and private transportation throughout. Plus, in each city, a Local Host® is at your service—a friendly face and expert on the local scene who is there for you to answer questions, give recommendations, and to help make your vacation all you want it to be. From the moment you arrive, Monograms is there to pave your way for an amazing journey. Your Local Host will greet you with a warm welcome and plenty of tools to help acquaint you with the wonders of Delhi. Relax over a hearty breakfast, then enjoy a rickshaw ride through the famed Chandni Chowk bazaar—a market that’s been around for more than three centuries. Spend time here shopping for exotic spices, gold, fabrics, and a host of trinkets and souvenirs. Feeling hungry? We treat you to a scrumptious lunch of traditional Indian fare, so dive right in! With Monograms, you’ll have free time to explore on your own. Perhaps take an excursion to visit some of the grand area temples. The following day, your private tour with a Local Guide stops at Qutub Minar and Ghandi Smirti; visits Gurudwara Bangla Sahib, the largest Sikh house of worship in Delhi; and explores the lavish, 16th-century garden-tomb of Mughal Emperor Humayun (a precursor to the Taj Mahal). Head southwest, stopping to visit the UNESCO World Heritage Site of Fatehpur Sikri, home to one of the largest mosques in India. Then, explore the splendid Keoladeo Ghana Bird Sanctuary, one of the finest bird parks in the world, where cormorants, storks, eagles, and more than 370 other migratory bird species have been recorded. During the nesting season, bird calls can become so loud that it drowns out human conversation! Also keep your eyes open for wild boars, mongoose, jackals, hyenas, civets, and porcupines, too! In the “Pink City” of Jaipur, your private sightseeing takes you to the amazing Amber Fort with the glittering walls and ceilings in the Sheesh Mahal (Mirror Palace), the City Palace, and the stunning Hawa Mahal (Palace of the Winds). Join a walking tour through the local market to pick up mementos, and check out the fascinating bigger-than-life Jantar Mantar astronomical observatories. India’s Golden Triangle is truly a feast for the senses—and your Local Hosts is there to help you make the most of every moment! Monograms takes care of all the planning, arranging, and logistics, so all you have to do is sit back and enjoy. With Monograms, you get more than a “taste” of India! Dive into the country’s colorful—and delicious—culture during four included lunches at local restaurants featuring authentic Indian cuisine. Welcome to India! Your hotel room is available for mid-afternoon check-in. Your PRIVATE GUIDED SIGHTSEEING starts with an orientation drive to see the Red Fort, Jama Masjid, India Gate, and the Presidential Palace. Afterward, take a RICKSHAW RIDE through Chandni Chowk, a captivating local bazaar. Here, ancient alleyways are lined with quaint shops selling all sorts of goods and souvenirs—from silver and saris to spices and electronics. The remainder of the day is at your leisure. This morning, explore Delhi on a PRIVATE GUIDED TOUR. Start at QUTUB MINAR, the world’s tallest brick minaret. Next, visit HUMAYUN’S TOMB and GURUDWARA BANGLA SAHIB, Delhi’s largest and most prominent Sikh gurudwara (house of worship). After lunch, drive to Agra, where much of the city’s impressive past is still evident in the majesty of her buildings. Meet your Local Guide for a special PRIVATE GUIDED TOUR to the incomparable TAJ MAHAL at sunrise. This extravagant marble monument was built by Moghul Emperor Shah Jahan as a memorial to his beloved wife, who died during childbirth. In the afternoon, a PRIVATE GUIDED TOUR brings you to AGRA FORT, a UNESCO World Heritage Site. To add to this memorable experience, you’ll travel by tongas (horse carriage) during your visit. Built by Moghul Emperor Akbar, this impressive fortress of red sandstone conceals the imperial city of the Moghul rulers and its many palaces. The Taj Mahal is closed on Fridays. In these instances, it will be visited in the morning on Day 5. The highlight of today’s PRIVATE GUIDED SIGHTSEEING is the amazing AMBER FORT. Later on, visit the CITY PALACE and the adjoining museum that houses a collection of rare manuscripts. Also, stop at the famous HAWA MAHAL (Palace of the Winds) and JANTAR MANTAR, and take a WALKING TOUR through a local market. Today, drive back to Delhi. The remainder of the day is at your leisure. Some flights depart Delhi very early in the morning. In these cases, breakfast is not included on Day 8, and you will have to depart for the airport late in the evening on Day 7 or just after Midnight on Day 8. Experience first class hospitality at the elegant Jaypee Siddharth Hotel, located in the commerical hub of New Delhi. After a day of exploration dine in the hotel's restaurant or relax and rejuvenate with a swim in the pool. The hotel also offers a spa and fitness center. Centrally located near a metro station, offering easy access to attractions, including Jama Masjid and the Red Fort. Luxurious rooms are complemented with modern amenities like WI-FI and air conditioning. The Jaypee Palace Hotel is spread over an unbounded 25 acres of elegantly landscaped luxuriant greenery. Sprinkled with enormous water bodies and endless walkways, this magical creation impeccably blends Mughal and contemporary architecture with modern amenities. Conveniently near the airport in the heart of Agra, Jaypee Palace Hotel is close to Mosque and the Jawab and Taj Mahal. Additional area attractions include Sadar Bazar and Kinari Bazar. The 341 rooms at Jaypee Palace Hotel include Select Comfort mattresses, down comforters, and premium bedding. Pillow menus are available. Also available is in room Wi-Fi access. Holiday Inn Jaipur City Center is a modern hotel conveniently located in the heart of the city. After a long day of exploration, relax with sprawling city views at the rooftop pool, or treat yourself to international cuisine at one of the three onsite restaurants. Offering an excellent location in the heart of Jaipur, this hotel provides easy access to popular attractions like Hawa Mahal, Nahargarh Fort, and City Palace. The spacious and contemporary rooms feature with modern touches & advanced amenities like satellite TV and glazed windows for a peaceful sleep experience. Ideally located in the heart of New Delhi, the luxurious Le Meridien New Delhi stands tall over the historic landscape of Lutyen's Delhi. The hotel features a sophisticated and modern design, and sweeping views of New Delhi. Located in the city center within a short distance of the Presidential Palace, India Gate, and Connaught Place. With modern decor and plush amenities each room a clutter-free experience at the same time taking care of all your needs, from a sitting area to relax in, to a luxurious bed to provide with you an unique sleeping experience. The Leela Palace New Delhi is all about luxury. Located in the diplomatic quarter, you'll experience unrivalled guest service. The elegant interior blends traditional and modern motifs. Pamper yourself at the exclusive spa or take in panoramic city views from the rooftop pool. The Leela Palace New Delhi is in the diplomatic quarter and just a short stroll from major attractions in Delhi. 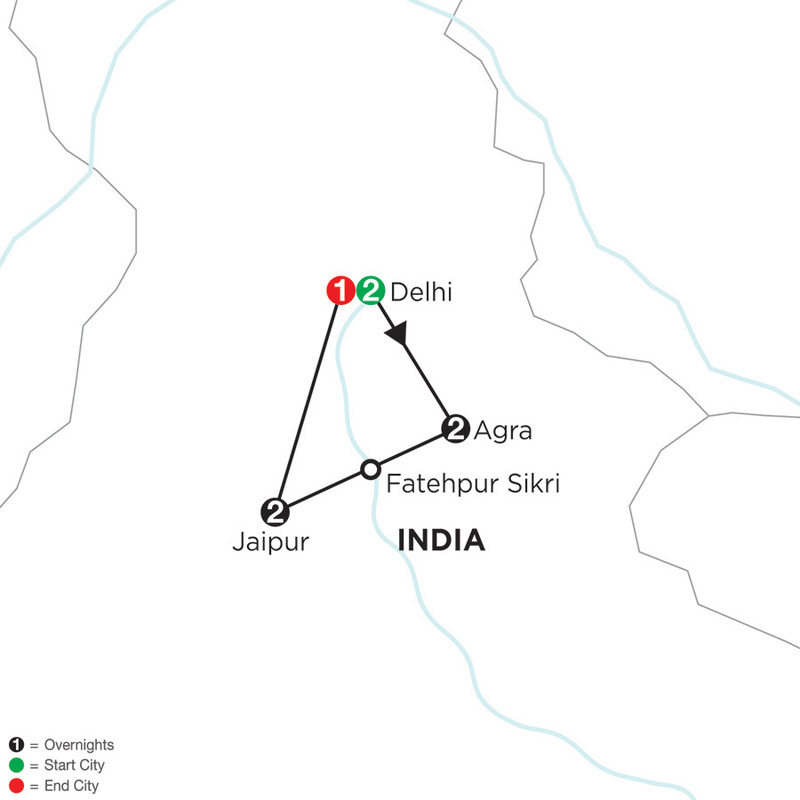 The hotel is a 10-minute drive from India Gate and Central Secretariat, and 20 minutes from Red Fort. The spacious grand deluxe rooms recreate the era of colonial extravagance, featuring lavish fabrics and polished marble. Each room offers a city or courtyard view. The Oberoi Amarvilasenjoys an unrivalled location just 600 metres from the iconic Taj Mahal. Unwind with a cocktail in the only bar in the world with views of the ancient monument, or relax in the outdoor pool surrounded by beautiful gardens. This family-friendly Agra hotel is located in the historical district just steps from the iconic Taj Mahal. 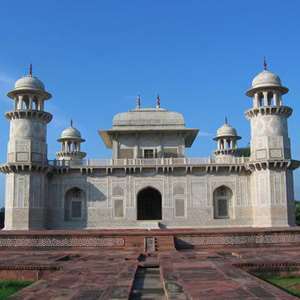 Other sites like Agra Fort Kinari Bazaar are nearby. Each room offers uninterrupted views of the ancient Taj Mahal and are designed to pay homage to its Mughal heritage. Set amidst 18 acres of beautifully landscaped Moghul gardens, this incomparable Palace dates back to 1745 A.D. A masterpiece in the Indo Saracenic style of architecture, it blends spotlight grabbing opulence with tantalizing comforts that transport guests to a world of Rajasthan magnificence. It is located downtown, close to the main shopping center and historical monuments. Set on 18 acres of beautifully landscaped Moghul gardens in downtown, close to the main shopping center and historical monuments. The Luxury Rooms, designed in turquoise and red, evoke the rich colors of Rajasthan. The rooms seamlessly blend contemporary and traditional style and offer modern facilities including Wi-Fi access and separate bath and shower. Breathtaking views of the serene Mansagar Lake and the striking Aravalli range welcome guests to this hotel situated en route to Jaipur's famous Amber Fort. The hotel's multi cuisine restaurant serves an elaborate a 'la carte menu and extensive buffets for breakfast, lunch and dinner. Situated on the banks of Mansagar Lake en route to Jaipur's famous Amber Fort. Rooms have Wi-Fi access and offer stunning views of the Mansagar Lake. Marvel at Birla Mandir, a magnificent and colorful marble temple. Explore the ancient Itmad-ud-Daula and its dazzling surrounds. Monograms provides travelers access to a Local Host®, so you will have someone on hand to answer those vacation questions pertaining to Delhi. No waiting in line at the concierge desk or trying to ask your waitress at breakfast directions to the shopping district. Simply ask your Local Host about Delhi and you'll be on your way in no time. Plus, your Local Host will share local Delhi insights and share suggestions for getting off the beaten path, leaving you more time to create lasting vacation memories that are yours alone. I have been working as a Tour Guide for more than three decades in India. I have a great passion for my work and always look forward to welcoming my guests to my incredible homeland and highlight its unity in diversity. Connaught Place has a long and distinguished history behind it. This sprawling market was designed in the shape of a horseshoe as the British believed it would prove lucky for both shoppers and shopkeepers. There may be something in that as CP continues to be Delhi’s premier shopping destination. Apart from being the commercial and business hub of Delhi, CP has countless restaurants, watering holes, shops and emporia and cinema halls too. Along the banks of Yamuna River you will find the ghats (stairs leading to river) where the leaders and freedom fighters of India were cremated. The Raj Ghat is one of the most visited ghats. This simple square platform of black marble marks the spot where Mahatma Gandhi was cremated after his assassination in 1948. The cremation ground of Indira Gandhi, Sanjay Gandhi and Rajiv Gandhi are also in the vicinity. By definition, Chandni Chowk means ‘Moonlit Square’ and one of the best times to visit the market is in the evening, when a treasure-house of experiences in old Delhi continues to delight the senses. Come hungry, as there are plenty of culinary options to choose from. Monograms provides travelers access to a Local Host®, so you will have someone on hand to answer those vacation questions pertaining to Agra. No waiting in line at the concierge desk or trying to ask your waitress at breakfast directions to the shopping district. Simply ask your Local Host about Agra and you'll be on your way in no time. Plus, your Local Host will share local Agra, India insights and share suggestions for getting off the beaten path, leaving you more time to create lasting vacation memories that are yours alone. Welcome! My name is Mukesh and I am happy to be with you in Agra. I was born and raised in this great city. My tour guiding commenced in 2000, and I will be very delighted to share my knowledge and experience with you in the city of Taj. The garden complex situated on the opposite bank of the Taj Mahal is known as Mehtab Bagh or the Moonlight Garden. It was designed as an integral part of the complex in the riverfront terrace pattern seen elsewhere in Agra. Originally, the garden was planted with fragrant flowers and used in the cool of the night as a place from which to view the Taj Mahal reflected in the octagonal pool and in the river. Rent a bicycle or book a tour to see Agra in its early morning hours. Watch as the city wakes and enjoy the early morning bustle at the wholesale vegetable and flower market and shoe trading market. Monograms provides travelers access to a Local Host®, so you will have someone on hand to answer those vacation questions pertaining to Jaipur. No waiting in line at the concierge desk or trying to ask your waitress at breakfast directions to the shopping district. Simply ask your Local Host® about Jaipur and you'll be on your way in no time. Plus, your Local Host® will share local Jaipur insights and share suggestions for getting off the beaten path, leaving you more time to create lasting vacation memories that are yours alone. Hi I'm Mahendra and I look forward to sharing with you all that Jaipur has to offer. Built by Viyadhar, the chief architect and town planner of Jaipur, this beautiful terraced garden has several galleries and pavilions decorated with exquisite murals, depicting Lord Krishna. Built in 1868 by Swai Ram Singh, the garden sprawls over 33 acres in the center of Jaipur. In addition to the lovely gardens you will also find the Albert Hall Museum, the Jaipur Zoo, Ravindra Manch Theatre and several cafes and picnic spots on the premises. The ultimate places to get the famous Mojri shoes made from soft camel leather. With beautiful embroidering and vibrant colors these shoes are also comfortable and durable. 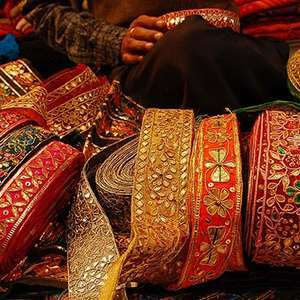 Fabrics can also be found here as well as saris in colorful block prints inherent to this region. This museum, known to be the oldest in the state, was designed by Colonel Sir Swinton Jacob in 1876 to greet King Edward VII (Prince of Wales) on his visit to India. Positioned amidst the gardens of Ram Niwas Bagh in Jaipur, this museum has an assortment of rare articles on display including textiles, carpets, paintings, metal and wood crafts, pottery, arms and weapons, native flora and fauna, toys, dolls and even an Egyptian mummy. Dedicated to Hindu god Vishnu, this edifice was constructed of white marble with a modern approach. Visitors can marvel at the delicate carvings of symbols, quotes and mythological scenes that are engraved on the walls.